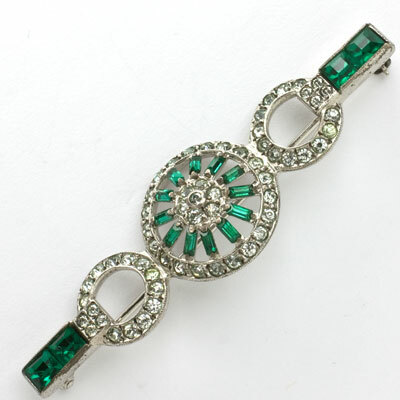 Emerald, the star of May birthstone jewelry, is a lush shade of green that appeals to women born every month of the year. 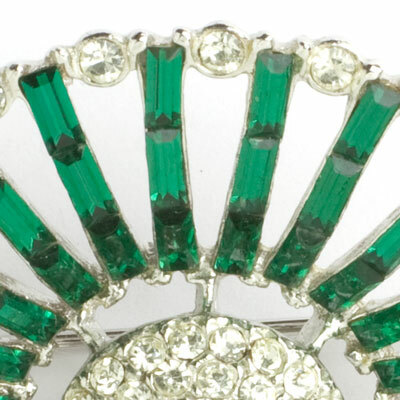 A symbol of rebirth or new beginnings and ascribed with mystical powers, this gemstone was the favorite of Cleopatra. 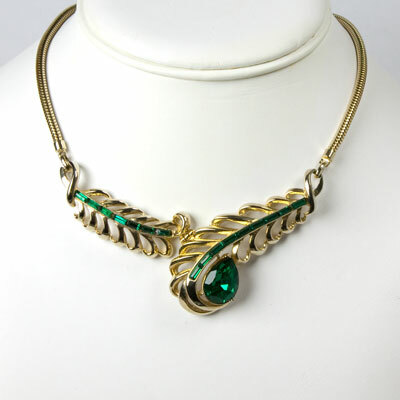 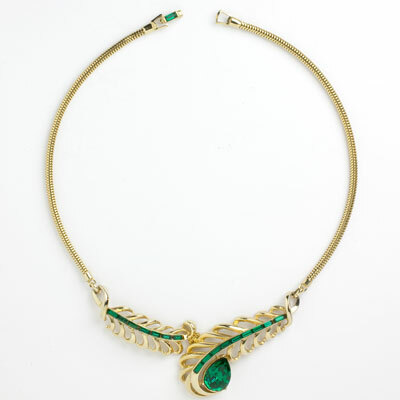 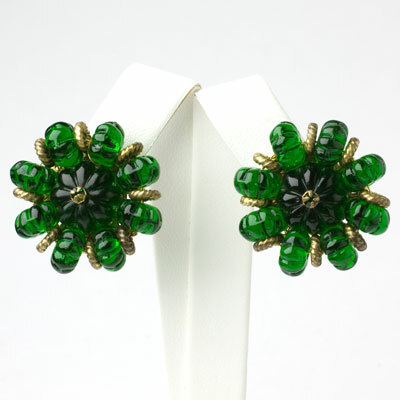 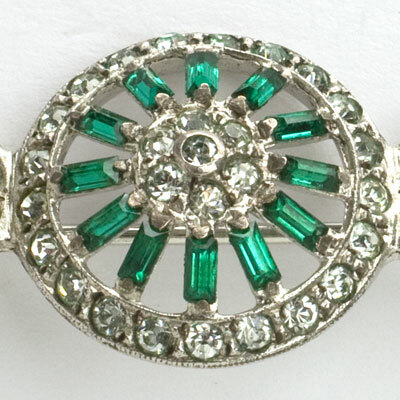 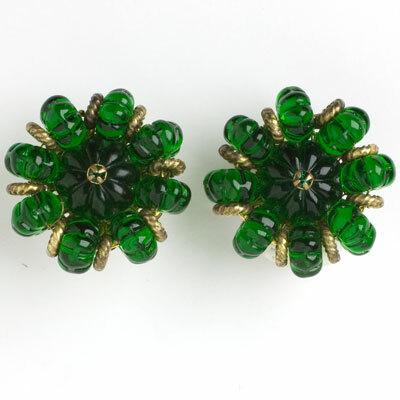 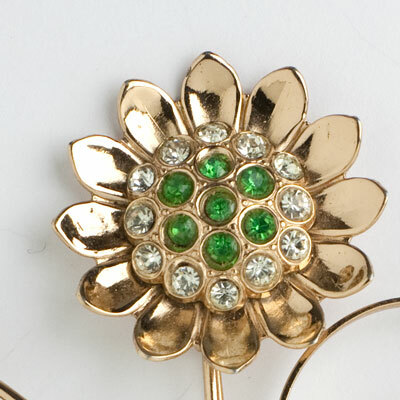 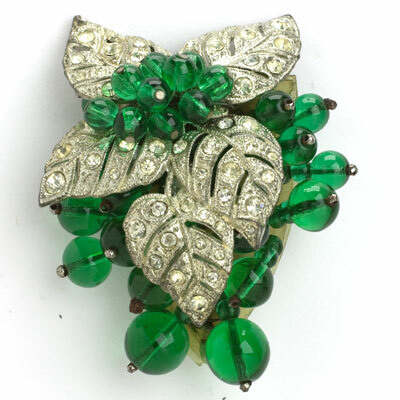 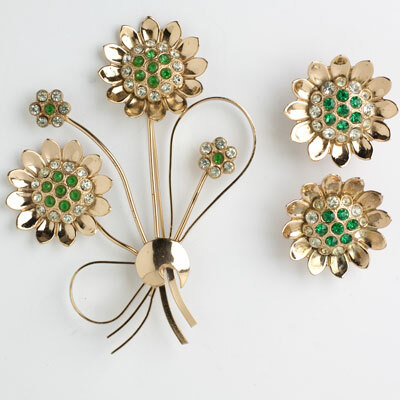 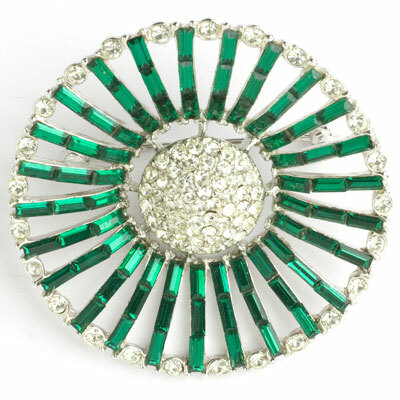 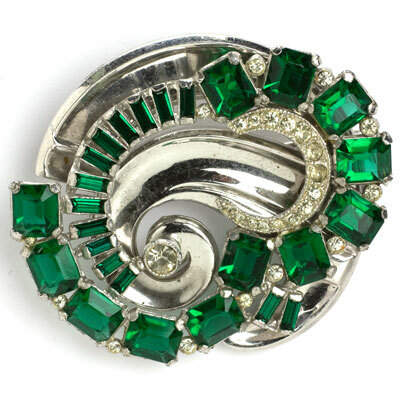 Emerald green has always been a popular color in vintage costume jewelry. 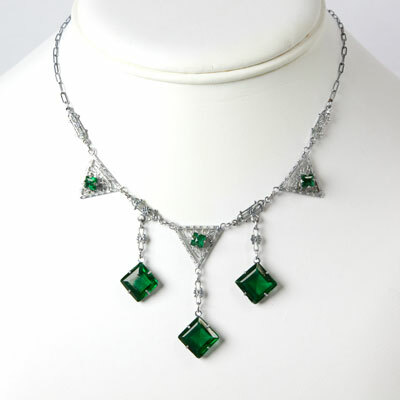 Here you will find a unique selection of emerald necklaces, bracelets, brooches, earrings, and clips from Europe and North America. 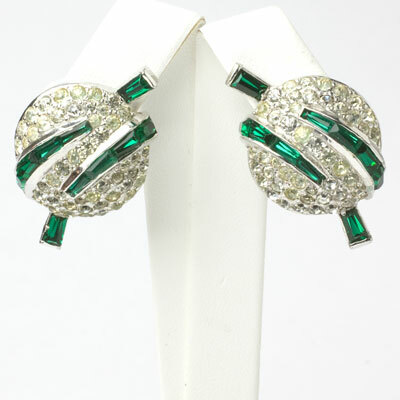 This elegant and classy hue suits all color palettes and fashion personalities. 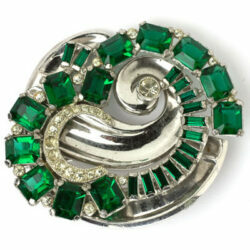 For tips on adorning today’s fashions with emerald vintage jewels, see this blog post. 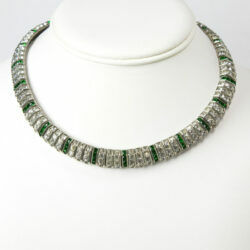 This substantial vintage choker necklace is just stunning! 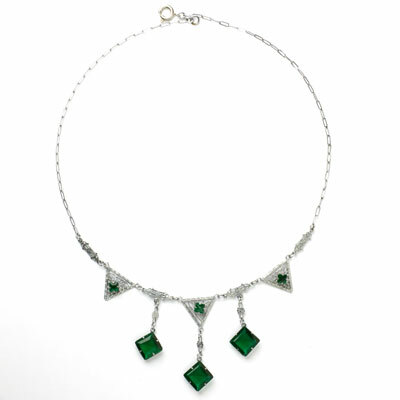 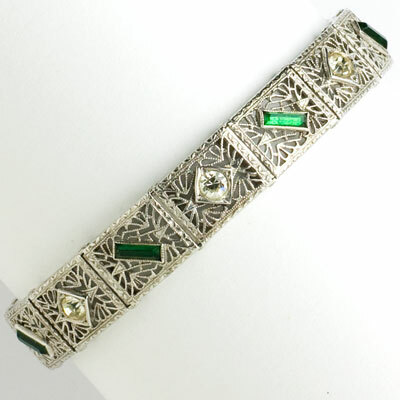 It has a pattern of three vertical links of diamanté followed by one vertical link of emerald-glass stones. 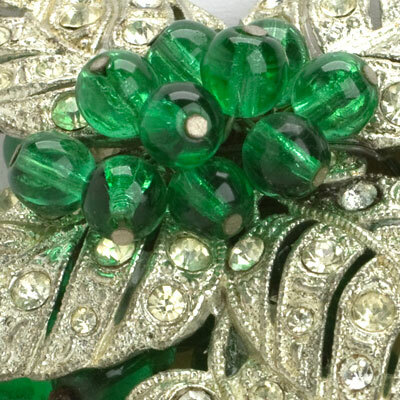 The stones are larger than those in most of the other pieces by this maker. 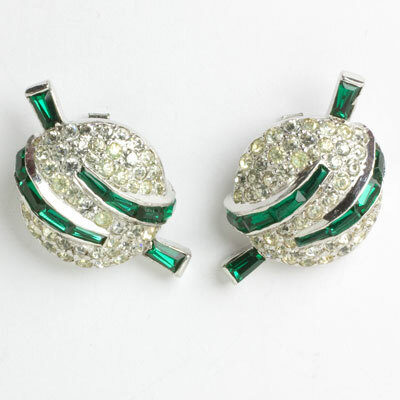 The links are flat-topped with rhodium-plated backs. 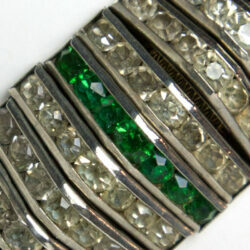 They're connected by a concealed mesh band, which was patented by another German company. 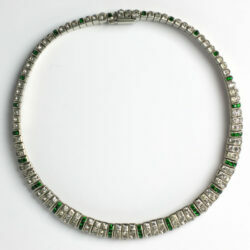 This Art Deco necklace closes with a concealed clasp. 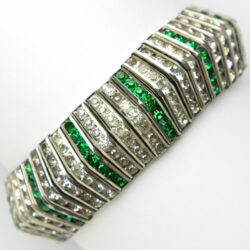 Scroll down to see a fabulous bracelet also by Schreiber & Hiller and in the same color pattern.